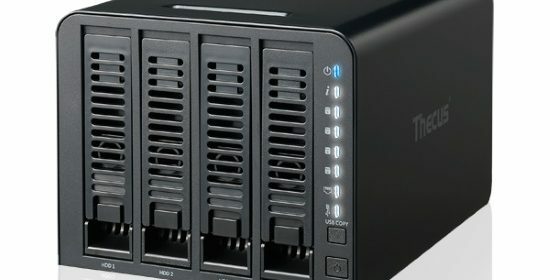 The config UI is a bit hard on the eyes, but the feature set and $266 price tag make up for that a bit – considering it’s a 4-bay NAS. The Thecus N4310 is a small business oriented Linux NAS (Network Attached Storage) device that makes it easy to setup an EXT4-based RAID storage environment with encryption support. The Thecus web-based software makes it easy to take full advantage of the NAS with features such as BitTorrent support, media streaming for iOS/Android, and more.